I forgot to write about the fiesta themed shower that I threw a couple of weeks ago. We had it at a local tex-mex restaurant and it was a success! I created these mad-lib style cards for couples to fill out before dinner while everyone was mingling and trickling in. 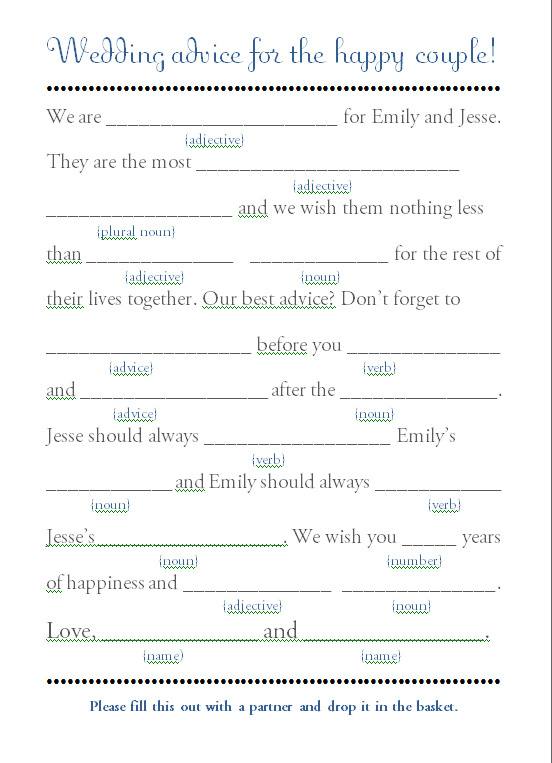 During dinner Angie and I picked the best two to read out loud and the winning couples received a prize! 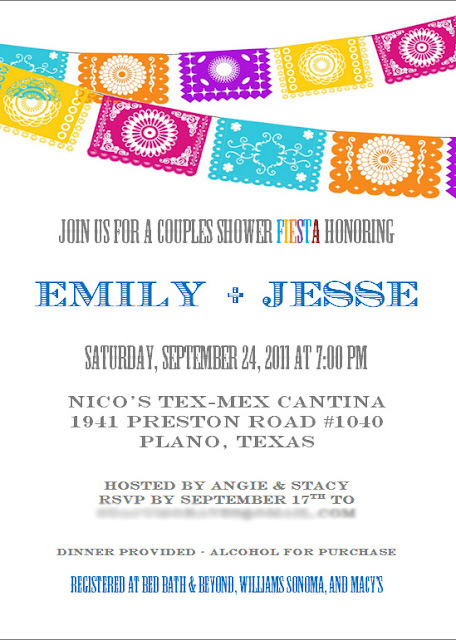 Here are the invites (e-mail blurred, obvs) that I created after I wasn't able to find a fiesta-themed invitation that wasn't incredibly corny and cheap looking. We kept the papel picado theme and used them to decorate the room (I forgot to take pics!). Bride and Groom sombreros! I attached a vail to the back of Emily's, of course! The whole group while they were opening gifts. 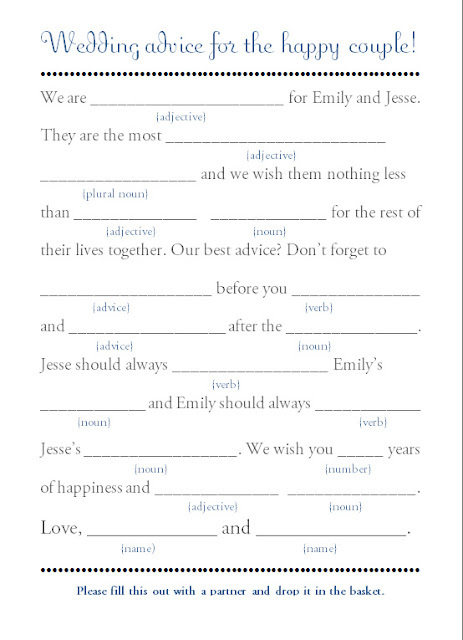 Can't wait for their wedding in a couple of weeks!